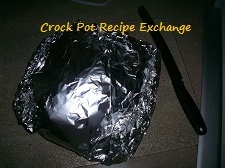 I came across a recipe for crock pot grinders some time ago and had forgotten all about it. 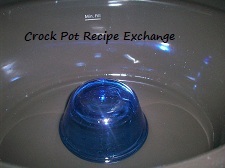 Then, when I joined Pinterest and searched crock pot recipes there it was again….. the prettiest picture you’d ever seen. 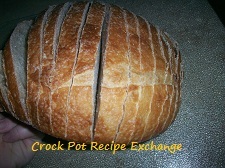 Start by slicing your loaf of round bread. You don’t want to cut all the way through it though. I left about 1/3 of an inch at the bottom of each slice. I got enough slices to make 6 sandwiches out of it. Next you’re going to start stuffing the loaf with your favorite cheeses and meats. Make sure you start in the center and stuff every other slice. You also want to make sure you start with the cheese touching the bread. If you start with the meat and it releases oils it could make your bread soggy…. and that’s just gross. Once you get the cheeses and meats in the bread slices, carefully lay the stuffed sandwich loaf on a large piece of parchment paper. Pull the two loose ends of the parchment paper together above the sandwich loaf and fold down to secure. Do the same folding along the sides. If any of the sandwich is still exposed use another piece of parchment to cover those. Just turn it so the open seems are going to be covered when the long ends are brought together over the top of it. The reason I chose parchment paper as my first layer(s) is because as the cheese melts it won’t stick to it. 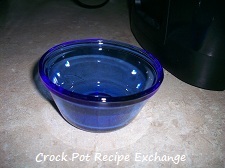 Now take a small heatproof dish (like the one above) and turn it upside down into your largest crock pot. I used my 6 quart for this recipe. You want to make sure that the wrapped sanwich loaf will balance nicely on it and that the lid will still fit snuggly. Once you have the small heatproof dish turned upside down add 1/3 cup of water. You are adding the water because you want a gentle heat to cook this sandwich loaf. You’re no looking to continue to cook the bread or anything like that. Just to meld the flavors and melt the cheese. 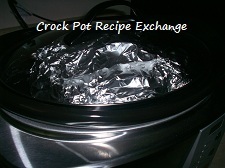 Place the wrapped sandwich loaf on top of the upside down dish and put the lid on the crock pot. 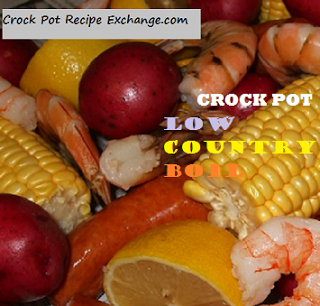 Turn the crock pot to low and cook for 6 hours. 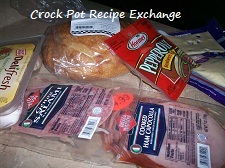 Once it is done, carefully remove the sandwich loaf from the crock pot and place it on a cutting board. Unwrap the loaf and discard the foil and parchment paper, leaving the sandwich loaf on the cutting board. At this point you will want to slice all the way through the bread on both sides of where you put the meat and cheeses. Now everyone can put what toppings they want on their own sandwich. I mixed the lettuce with a little of the zesty Italian dressing to make it easier to stuff it in the individual sliced sandwiches. I started by placing the halved tomato slices down inside the pocket of meat, then the onion slices, then the pickles, then the lettuce/ dressing mixture and topped with the banana pepper slices. This was so easy and so delicious. I was also able to put the types of cheeses and meats that everyone liked in their own little pocket of bread before cooking. That made it a “please everybody” meal. Miss Maddy had a chicken sandwich while I had an Italian type with capocolla, salami and pepperoni. Of course the mister had a sandwich with everything possible on it (but what do you expect out of a human garbage disposal HA! Don’t tell him I said that). We will definitely be making this again and again and again. It served 5 of us easily (4 adults and one child). It’s also going to be nice to pair this with crock pot soups this fall and winter to make a full meal. This recipe shared on Foodie Friday.